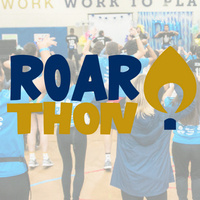 Roarthon, FIU’s Dance Marathon, is a year-long fundraising campaign ending in a 17-hour dance party. All the funds raised benefit the Children's Miracle Network Hospitals program at Miami Children's Hospital Foundation, the fundraising arm of Nicklaus Children's Hospital. Children's Miracle Network Hospitals is a non-profit organization dedicated to saving and improving the lives of children by raising funds and awareness for 170 children's hospitals throughout North America. Since 1985, Nicklaus has been the only Children's Miracle Network Hospital in South Florida. Over 300 students participate in the 17-hour fundraiser that takes an entire year and a committee of 50 plus students to plan and activate. As of 2017, the FIU community has raised over 1 million dollars!